Deli Hub, an extension of well-established Birmingham based Kababish restaurants, boasts a Halal menu and sub-continent street food classics such as pakoras and samosas. 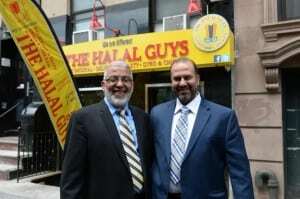 New restaurant options will feature “ethnic cuisine, comfort food and halal options,” including a Middle Eastern restaurant with grilled halal meats. Regarding an issue involving signboards that were placed at elevators on three floor levels of a fourstar hotel in Petaling Jaya which were exclusively intended for suppliers who delivered goods to the hotel, informing them that the lifts were for transporting ‘halal’ goods only. 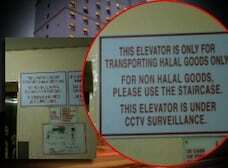 The controversial signboards beside three elevators at the Crystal Crown hotel here were put up to comply with the requirements stipulated by the Department of Islamic Development (Jakim) regarding the transportation of non-halal food. Dubai-based Just Falafel, one of the Middle East’s most dynamic emerging restaurant brands, launches in London with its flagship store opening in Monmouth St, Covent Garden, November 2012. Jakim took immediate action by taking down the banners written ‘Ramadan Treats’ and seized Ramadan buffet brochures which were placed at the hotel lobby after non-Halal ingredients were found. President Mohamed Nasheed attended the official opening of Marrybrown, a Halal Malaysian fast food chain and the first international fast food chain to come to the Maldives. The Marrybrown franchise currently operates in 15 countries worldwide. Restaurant “Terasa” Ilidža (Sarajevo) is the first halal certified restaurant in BiH and the region of Balkan that has implemented the requirements of Halal standard BAS 1049:2010 and Halal Certification Guide for Service, and its preparation and serving of halal food align to the needs of consumers. A PETITION has been set up to add halal meat to the menu at the new Nando’s restaurant in Peterborough city centre. As part of its expansion plan, Al Farooj Fresh, a fast-casual restaurant chain in UAE, has signed an agreement with Al-Amin Holdings, a UK-based business group, awarding them the franchise rights for opening up six Al Farooj outlets in the UAE.